Tyler J. Belong, Esq. | San Diego Sexual Harassment Attorneys, Sexual Harassment Lawyers in San Diego, CA. Tyler Belong is a partner in the San Diego office of Hogue & Belong. Mr. Belong’s practice concerns the areas of Employment Law, Class Actions, and Real Estate litigation. Mr. Belong’s employment litigation practice includes primarily wage and hour violation class actions and harassment/ discrimination claims. An accomplished trial attorney, Mr. Belong has obtained numerous jury verdicts and judgments of one million dollars or more. He has also certified many class action lawsuits and even tried class action lawsuits to verdict. In addition to his success in jury trials, Mr. Belong has also received court approval of numerous class action settlements in the multiple million dollar range, and even obtained some individual sexual harassment settlements in the million dollar range. In addition to his employment and class action practice, Mr. Belong has also successfully litigated scores of cases involving real estate and business law disputes. As a partner with Hogue and Belong for over a decade, Mr. Belong has diligently represented hundreds of individual clients and tens of thousands of class members throughout the State of California. At Hogue & Belong, he has also practiced in various district courts in the Ninth Circuit and represented clients in nationwide class action litigation. Prior to his work at Hogue & Belong, Mr. Belong practiced for several years at a regional civil litigation defense firm, where he defended clients in cases involving breach of contracts, real estate disputes, personal injury cases, and large class actions. Since 2015, Mr. 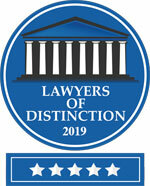 Belong has been peer reviewed and designated as a SuperLawyer and has received consistently excellent rankings by Avvo. Mr. Belong grew up in San Diego and received his undergraduate degree from San Diego State University and his law degree from the University of San Diego School of Law.